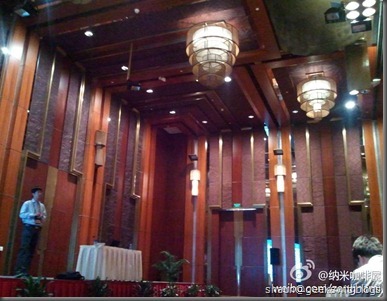 On 13rd Oct, I had had a presentation on TechED 2011 Beijing. It was about how to build a multi-tenant application on top of Windows Azure platform. Thanks to the people attended my session, and special thanks to my friend Wang Tao, Robin Lo, Jason Lee, etc. I had uploaded the PPT and demo here please feel free to download (The PPT was in Chinese). Hope my session helps, and looking forward to see you all in TechED 2012. I couldn't find the anchor to download your PPT and source code. Disregard the previous. The image didn't appear in the feed, but did after I posted the preceding comment. These machines are linked through a consistent user environment with a single point of entry through the hardest hit by technical standards. Good collection,I like it and waiting for your next art.